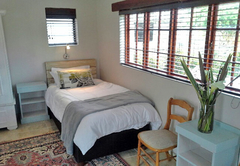 Lauricedale Country House is a highly recommended property providing self catering in Theescombe for tourists visiting the Port Elizabeth region. 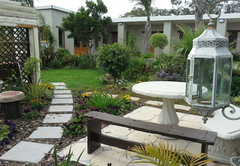 Lauricedale Country House is a self-catering cottage on a smallholding in the tranquil suburb of Theescombe in Port Elizabeth. 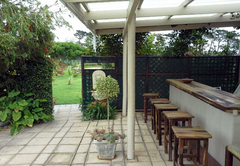 The surroundings are peaceful and it’s a relaxing environment which is perfect for families or groups of people. 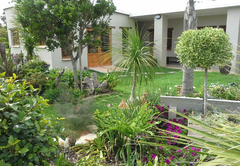 Guests are welcome to relax and enjoy the bird life in the tranquil gardens. 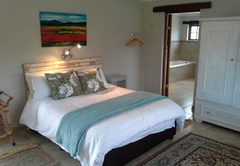 Room with twin beds and en-suite shower room. 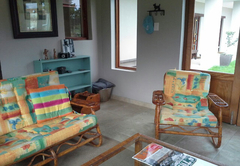 There is a fully equipped communal kitchen area and a spacious lounge with fireplace. 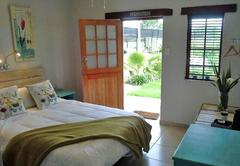 Double bedded room with en-suite bathroom (shower only). 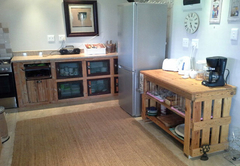 There is a fully equipped communal kitchen area and a spacious lounge with fireplace. 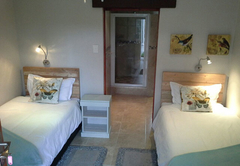 The room is furnished with a double bed and double bunks. The en-suite bathroom has a shower only. 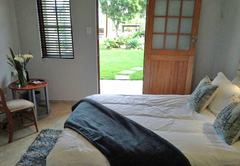 There is a fully equipped communal kitchen area and a spacious lounge with fireplace. 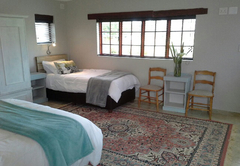 This family room has a double and single bed and an en-suite bathroom with shower and bath. 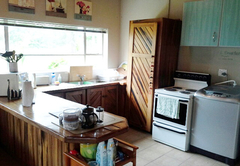 There is a fully equipped communal kitchen area and a spacious lounge with fireplace. 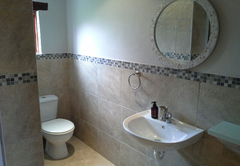 Three bedroom, two bathroom house (one bathroom is an en-suite). 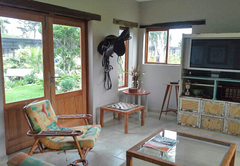 There is a fully equipped communal kitchen area and a spacious lounge with fireplace. 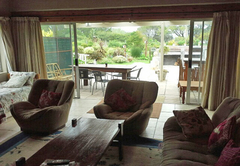 An indoor fireplace and lounge leads to an undercover verandah and braai area. 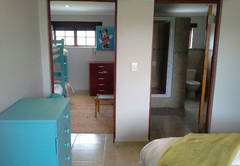 En-suite bedroom with a queen size bed & sleeper couch for small children, kitchenette and outside braai area. Close to the city center, yet in the country side. Nice house with all amenities. Owner Jackie is great. Would recommend it to anyone. Response timeLauricedale Country House typically responds to requests in 5-10 minutes.